Have you ever wanted a grand piano, but lack the space and budget? Brand new, with features that will blow you away, the flagship Roland LX708 is the ultimate digital piano. With a new key action, sound engine and design, this instrument will give you a whole new digital piano experience - an experience directly comparable to that of an acoustic piano. European or American piano sound, you are also able to decide which ‘room’ you play in, with full control over ambience and brilliance. Designed to feel just like an acoustic, the now longer wooden key allows players to switch from an acoustic to this digital seamlessly. Each key is weighted individually, to mimic an acoustic grand. With greater control and a more realistic feel, Roland have pulled out all the stops to create this flagship key action that’s closer to an acoustic than ever before. Experience a grand piano in your own home through this magnificent digital upright. Get the most out of the Roland LX708 with the new and exclusive Piano Every Day app. 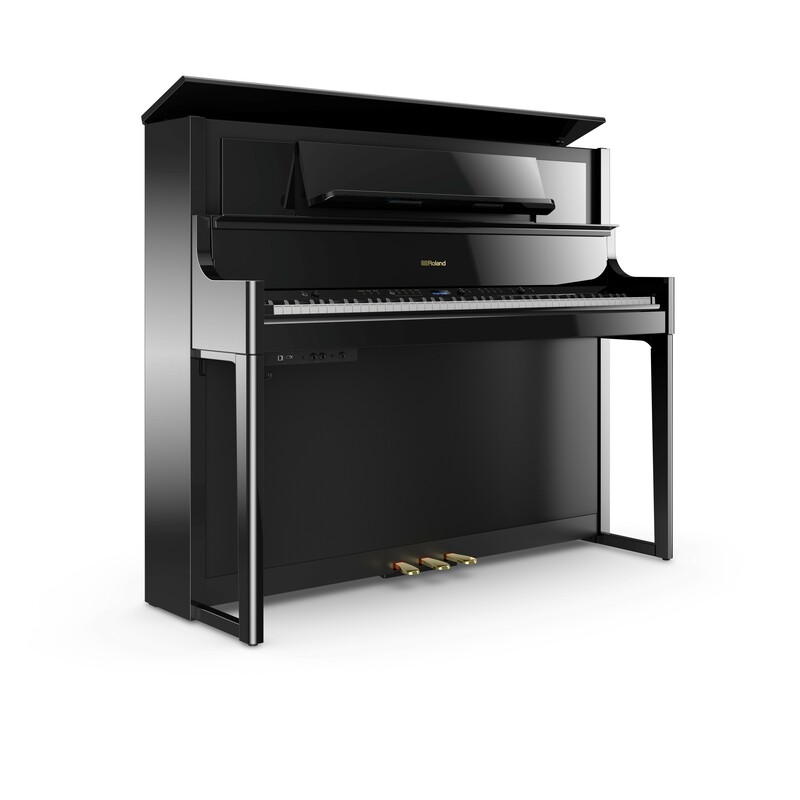 With no maintenance costs and technology only Roland could offer, this piano, paired with a 10-year warranty, is a no-brainer.